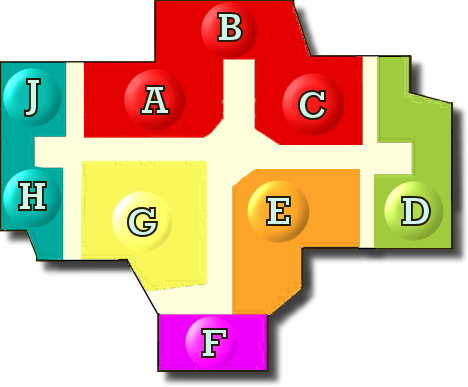 Move your mouse over letters on the Mall Map to see topics important for those newly diagnosed with Rheumatoid Arthritis. Click on a letter to go to that section. The very first thing that I want you to read is, “Bless your heart. I’m sorry.” Being newly diagnosed with Rheumatoid Arthritis is challenging. Whether you are in tremendous pain, wondering whether you will get better or you’re shocked at the news and afraid of what may be to come – being newly diagnosed with RA is hard. Two things will be key to you in fighting RA. The first is information. Rheumatoid Arthritis is a complicated disease, and there is so much to learn that you may wonder what to read first. It is made harder because the magazines, books in the library, and even many websites may have conflicting or out of date information. There are also many myths about RA that are passed around. One way to verify information is to check recent research on reliable sites at hospitals such as Mayo Clinic or Hospital for Special Surgery, or scientific journals like Arthritis Research and Therapy or the National Library of Medicine’s MedlinePlus. The best thing that you can do is continue to ask questions. The second thing that will help is company. When someone offers you a juice cure and tells you that he has a little touch of RA in his knee, it helps to have someone who knows how you feel. When you cannot convince a family member that your chemo treatments are really necessary, nothing helps like having a friend with RA. I have also learned the hard way that it may take another person with RA to really know how severely Rheumatoid Arthritis pain can hurt. Click here to watch a short video about what you need when you’re diagnosed with Rheumatoid Arthritis! My Basic Class in Rheumatoid Arthritis: RA 101 (This link is currently being updated). It might be good to think of yourself as the manager of your Rheumatoid Arthritis. There are details to keep track of such as doctor’s appointments, medical records, lab tests, prescription refills, and drug interactions. There are debates about second opinions, surgeries, or medication changes. One thing that surprises many newly diagnosed Rheumatoid Arthritis patients is that symptoms are not the same every day. The disease can cause more pain and weakness at some times than others. It is difficult to manage a disease that can be so unpredictable and deceptive, continuing to cause damage even during “easier” times. Managing Rheumatoid Arthritis will also require that you become your own advocate. You will need to explore possibilities, gather expert opinions, and make difficult decisions. You will probably have to fight RA the rest of your life, so you will have to find the courage to do that. It may come from your faith or from a supportive family, but it will be good to have backup to encourage you in the fight. You may be diagnosed with Rheumatoid Arthritis by a specialist. If you are not, then you will probably be referred to a Rheumatoid Arthritis specialist or a rheumatologist. If not, you should seek one out as soon as possible. RA must be managed carefully and you will need the advice of someone who is informed on current research. Many RA patients have general practitioners or nurses who help manage RA between visits to the specialist. Doctors have different philosophies of treating Rheumatoid Arthritis. Some agree with the current research that supports early and aggressive treatment with DMARDs and Biologics to inhibit as much damage and disease progression as possible. Other doctors are conservative and continue to follow the traditional treatment pyramid. There are even general practitioners who will not refer RA patients to specialists until their symptoms are proven severe or persistent. Rheumatoid Arthritis is a complex disease which can affect almost any organ or system. Therefore, other types of specialists may be required to deal with problems related to RA. Even if a condition such as tendonitis or hoarseness or chest pain is suspected to be rooted in RA, it ought to be treated by an appropriate physician. Being diagnosed with Rheumatoid Arthritis usually means that you will be prescribed medicine. So much is happening to you at once that you may forget to ask what each medicine does. It is important that to ask the doctor to explain the purpose and plan for each prescription. Ask: How will it help me? How long will it take to start working? And how long should I take this? Sometimes patients are afraid to use medicines for Rheumatoid Arthritis. A recent comment: “I was scared to death of meds.” The best way to deal with fear is information. Looking for the facts about these two things will be helpful in dealing with fears of medical treatment. First, consider the Rheumatoid Arthritis itself. Is it a mild or palindromic case at this point? What do the symptoms, the blood tests, and the doctor indicate with regard to risk of progression or damage? Second, it is a common mistake to lump all medicines for RA together such as when someone says, “I’m tired of taking of meds.” There are actually various types of medicines used for RA. Each medicine must be considered individually by weighing its particular risks and benefits. DMARDS: Certain medicines are treatments to fight the disease. They are called “disease modifying anti-rheumatic drugs” or DMARDs. Most DMARDs were originally used to fight cancer, malaria, or other diseases. It has been found that they often “modify” the RA disease or make it less severe. Among the common DMARDs are methotrexate, Plaquenil, hydroxychloroquine, and leflunomide. Biologics: This is a special group of DMARDs which were developed especially to treat autoimmune diseases like RA. The medicines interfere with the actions of specific immune cells which are part of the attack on the body in RA. Biologics are prescribed in conjunction with methotrexate. Biologics include Enbrel, Remicade, Humira, Orencia, Cimzia, and others. Symptom treating medicines: Often DMARDs can take several weeks to begin working, so most patients are also prescribed medicines to suppress RA symptoms. If DMARDs do not bring a sufficient remission of RA symptoms, then use of symptom treating medicines will be continued. This is frequently so. Medicines used to treat RA symptoms include many kinds of non-steroidal anti-inflammatories (NSAIDs) like Advil or Naproxen or any of a long list of prescription NSAIDs. Prednisone or other synthetic steroids are said to be used as bridge drugs because they treat RA symptoms very effectively, but have many risks and side effects associated with their use. Also, anti-depressants, muscle relaxers, sleep aids, or potent pain relievers and narcotics may be prescribed to make RA symptoms more manageable. Rheumatoid Arthritis is a disease that usually progresses. That means that it continues to advance. However, most RA patients experience periods when the disease is less active. Frequently, this is described as a pattern of flares and remissions. It is impossible to predict when or to what degree RA will progress or remit. Some patients experience a mild course of the disease or even a remission that lasts for a period of years. Other patients live with uncontrolled flare that does not ever abate. Most patients experience varying degrees of flare and remission, with a gradual progression toward greater damage and disability. No two patients seem to have exactly the same disease course. 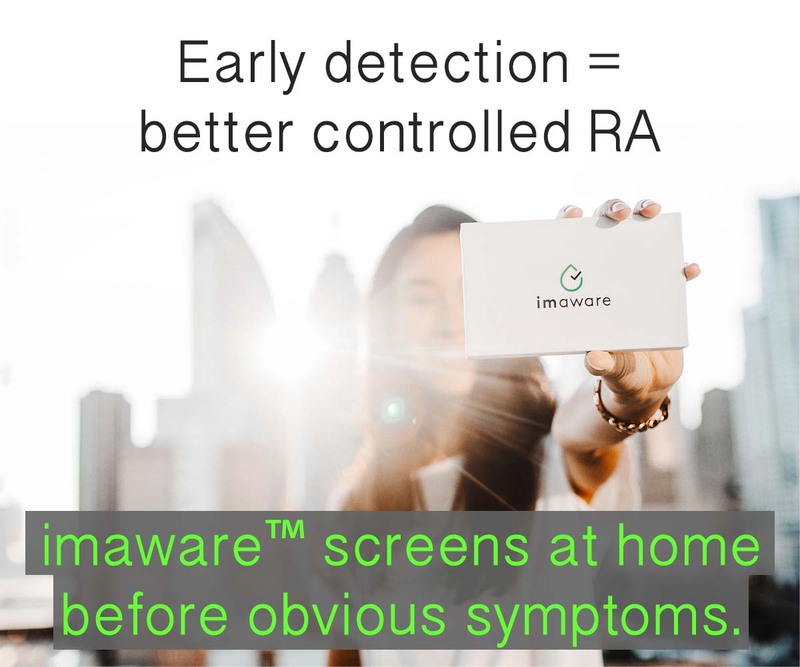 Frequently, newly diagnosed Rheumatoid Arthritis patients ask, “Is this symptom due to the RA?” You may have already experienced various symptoms of Rheumatoid Arthritis by the time that you have been diagnosed. However, since most lists of symptoms tend to be incomplete and doctors don’t usually hand out a list, you may be puzzled. If you have begun any treatments, it is easy to confuse Rheumatoid Arthritis symptoms with side effects of medicines. Below is a list of common Rheumatoid Arthritis symptoms. It does not include every possible symptom. Some Rheumatoid Arthritis patients experience immediate distortion of joints. This is often due to swelling or internal inflammation and can be reversible. Most patients also notice gradual visible changes which eventually lead to one of the several “typical” deformities of RA. Many of these are not reversible. However, severe disability may be lessened with surgery or joint replacement. Weakness or fragility of joints or tendons may be sudden or gradual. For many patients, these symptoms improve with treatment. There is also some evidence that early and aggressive disease treatment can reduce or delay damage. In addition to medical treatment, stabilizing braces or physical therapy helps some patients to avoid or modify deformity. It is not always preventable, but every possible effort should be made. Rheumatoid nodules may appear in various sizes as bony masses of cells beneath the skin. They often appear on or near joints, but not always. Nodules can even form on vocal cords or other organs. Some nodules improve with treatment; troublesome ones can be removed surgically, but they may return. Blood tests for monitoring general health or disease state: Doctors will use basic blood tests to look for indications about how RA is affecting you. A good rheumatologist will never let results of these tests replace your own report of your condition. However, don’t be surprised if you are asked to repeat these tests periodically. Sometimes they can help identify new problems or deficiencies. Imaging tests: Much of the damage of Rheumatoid Arthritis cannot be seen with the naked eye. Doctors may order x-rays, MRI’s, bone scans, or ultrasound tests to look for an indication of how the RA is progressing (advancing) inside of you. Some doctors order these tests regularly; others only every few years or in case of need. Testing for medication effects: If you take medications for Rheumatoid Arthritis, tests will be required to monitor how they affect your body. Since medicine is filtered from the body by the kidneys and liver, they may be checked regularly. Other tests may be required, depending upon the medicines prescribed. For example, a regular tuberculosis exposure test is needed with immune suppressant drugs. 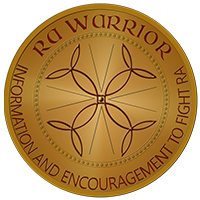 See every article on RA tests on RA Warrior. Rheumatoid Arthritis can create special nutritional needs because of many of the ways it affects the body. RA patients may require additional iron, B vitamins, calcium, magnesium, or potassium for example to combat anemia, osteoporosis, muscle, or nerve problems. At the very least, it is important that Rheumatoid Arthritis patients eat a healthy diet with plenty of antioxidants and protein. Certain RA medications can also create dietary needs by depleting nutrients. Prednisone is the most familiar example since it is associated with osteoporosis. Many Rheumatoid Arthritis patients also find it helpful to choose foods which are high in certain vitamins or anti-oxidants which some patients say help decrease inflammation. Eating healthily is even more important for RA patients since they are at risk for several other serious conditions. There are several pages of nutrition information on this website and they are considered an important work in progress. It is reasonable that there is fear associated with a new Rheumatoid Arthritis diagnosis. Sometimes, my heart breaks as I read emails telling me of a new RA diagnosis. I hope that this page will address some of those fears and help empower patients to face some hated hard facts. 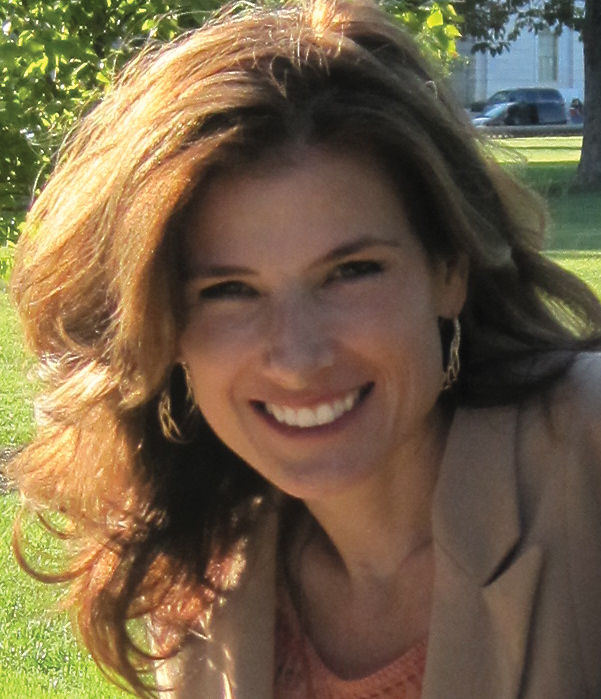 Sometimes, newly diagnosed Rheumatoid Arthritis patients fear the future. Sometimes, they fear the effects of medicines. Sometimes, they fear even admitting that they have Rheumatoid Arthritis. In response to these fears, many patients experience some degree of denial. If Rheumatoid Arthritis symptoms are mild enough to easily ignore, then the case may be mild enough to refuse treatment. However, most doctors will recommend treatment since RA seldom remains that mild. Only about five percent of patients who are diagnosed with Rheumatoid Arthritis have an early and complete remission. Other patients will have varying degrees of flare and remission for the rest of their lives. The only hope that doctors can offer today to improve the outlook for RA patients is early and aggressive treatment with DMARDs. Unless the course of RA is a very mild one, symptoms of Rheumatoid Arthritis are more harmful and annoying than the harsh side effects of DMARDs used to treat it. Denying Rheumatoid Arthritis doesn’t make it go away. However, there are Rheumatoid Arthritis patients who find that some alternative or non-traditional treatments help them to alleviate some symptoms of Rheumatoid Arthritis. Examples include acupuncture, restrictive diets, and various nutritional supplements. There is no evidence that “natural” symptom treatments work better than pharmaceutical ones, but some patients find solace in using things that are considered natural. Natural methods of relieving Rheumatoid Arthritis symptoms do not replace disease treatment any more than NSAIDs or steroids do. None of them have been proven to either cure Rheumatoid Arthritis or prevent damage. 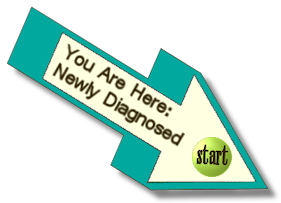 Relying on any symptom treatment in place of disease treatment involves risk. The Problem with Rheumatoid Arthritis Information: Why is RA so hard to study and cure? Have you tried to tell people yet about your Rheumatoid Arthritis diagnosis? If you have, then you were probably surprised by some reactions you encountered. One patient wrote that she has decided not to tell anyone ever again that she has Rheumatoid Arthritis because the reactions she encounters are too difficult to contend with. Unfortunately, there are a lot of myths and misinformation about RA. That contributes to confusion and a lack of concern in the general public about the disease. About three-fourths of the emails I receive from RA patients mention the emotional pain of others not understanding that Rheumatoid Arthritis is a harmful disease, not osteoarthritis. Of course, no one asks to become an advocate for RA awareness, least of all someone newly diagnosed with Rheumatoid Arthritis. Helping people understand this disease can be a difficult part of living with RA. Sometimes, in our own little circles, we can share our experiences and educate one person. Other times, we decide to avoid discussing RA, at least for the time being. Either way, it is difficult. We who live with RA are the only ones who know the truth about what RA is like. I cannot offer you a magic way to help someone understand RA. My goal is for you to know that you are not alone if you encounter these problems and hopefully remove a bit of the sting.